Finding accommodation as a student is always an exciting but sometimes daunting task! At Wittenborg we assist our students in finding suitable, local accommodation, often managed by the university. For student housing in Vienna or Amsterdam please click through to the relevant pages. Dutch or other EU-national students are encouraged to find their own accommodation, however, they can opt for Wittenborg’s own accommodation if available. 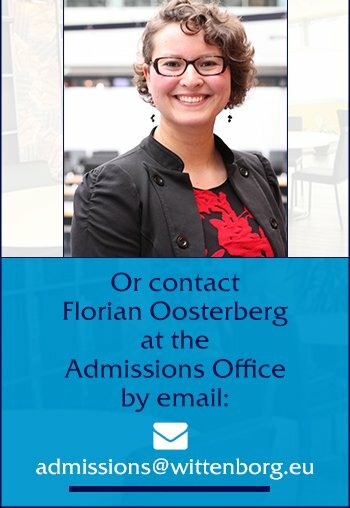 If you are a non-EU, ‘package-fee’- paying student who needs Wittenborg to arrange your study visa to be able to join us in Apeldoorn, part of your package fee is the first 4 months* of your accommodation fee, plus administration fee for new-arrival students. You will be allocated a room in either an apartment or a house sharing a common area and all facilities, such as bathroom, toilet, kitchen, etc. with other students, both male and female. After the first 4 months* you are free to move out of Wittenborg accommodation and move into other housing of your choice. Wittenborg will provide you with contact information of local real estate and student housing providers/agencies upon your arrival, so that you have plenty of time to make your choice. *The length of this period depends on the size of the room - the smaller the room the longer this period, up to 6.5 months for a shared room. If you decide to stay on at one of the rooms that Wittenborg provides, the actual rate of the room will apply as from the 6th month,* which you can download using the link below. If you are a non-Wittenborg, study-visa dependent student, a Dutch or EU citizen for example, you can choose one of the available rooms at the actual rate. You can find the rates overview at the bottom of this page. Currently, all students may stay a maximum of one calendar year at any of the accommodation(s) provided by Wittenborg to assure rooms are made available for newly arriving students. Wittenborg is working hard to increase its own campus accommodation!